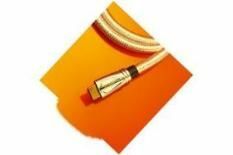 QED Signature HDMI review | What Hi-Fi? We're sure you know how impressed we were with QED's new Signature interconnects: now, it's the turn of the company's latest HDMI cable to come under the spotlight. In appearance, it's classic QED, its beautifully turned out silver-plated connectors and luxurious packaging raising your hopes even before you've connected it – although as we've also commented, the red-on-silver cable lettering doesn't work quite so well. In action, the QED is a confident and classy contender, its sound boasting almost the same heft as some close rivals and its picture layering on the colour and contrast with aplomb. However, it's not appreciably better in either regard than its cheaper peers – which is why it has to drop a star.